I may be able to offer additional savings, ask how?!! We have many die cast Hotwheels, Matchbox, cars by Jada, Johnny Lightning (including rare James Bond cars), & more in our other auctions and in our stores on other sites too. Email us for those links! I am paypal verified and confirmed since Feb 5th 2000.....! PLEASE READ: Selling is not just a hobby for me, I am retired and this is what helps me pay medical bills and medications, your payment is very important so please make a timely payment! Our items may be listed on another site as well. We have many die cast cars, trucks, hotrods, hobby show pieces, hotwheels, johnny lightning, jada, muscle machines, so if you're looking for more let us know! Once you have received your item, please let us know it arrived by posting positive feedback for us, you will get 2 emails sent to you, one right after the order, the other about 20 days later, both from (noreply@ecrater.com). In the emails will be a link for you to be able to post that feedback. It is possible the emails will go to your junk folder so please check, it would be very helpful to continue having feedback posted to allow other potential buyers to make a choice whether or not to buy from us by how your experience is rated! We always welcome input from our customers. Let us know how we may improve our service or let us know how we are doing. Ask about discounts on nearly everything we sell and how to always get a better deal!!!! If you place your trust in us, you will NOT be disappointed! No refunds unless we have significantly misrepresented the item! All items are being sold as is, as we cannot guarantee battery operated or sealed items will work as we have no way of knowing due to age and not being used, so all items are being sold as collectibles. 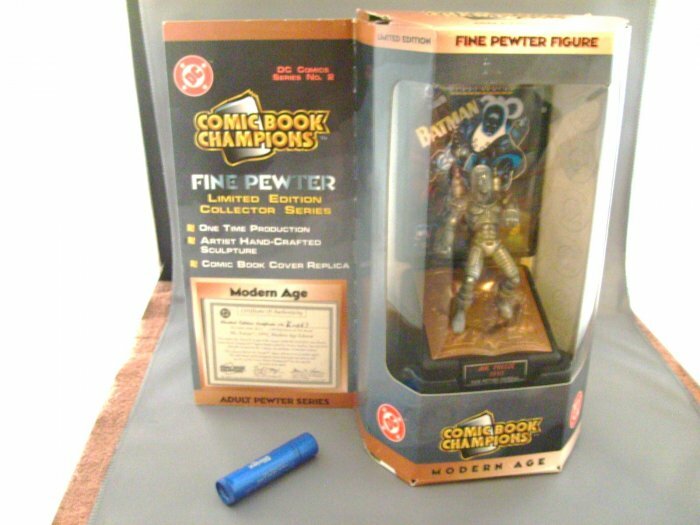 Check out our other great collectibles and save on shipping!! !